Thailand. 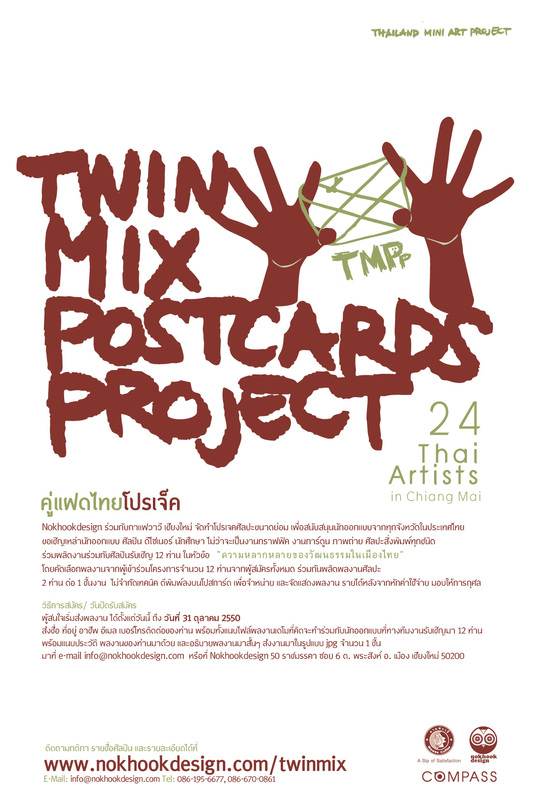 The project is welcoming all kind of designers in Thailand (both professional and amateur) – computer graphic, illustration, cartoon, photo and many other fields of arts – to join the project together by creating a new designed artwork with another designer you never work with before. 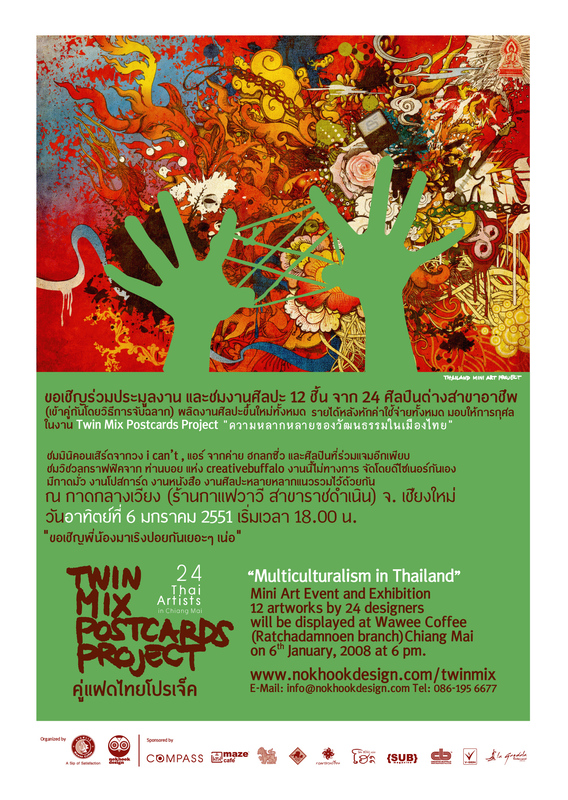 24 participants will form 12 pairs and create a work under the topic “The multiculturalism in Thailand”. 12 designers will be selected to work with another 12 guest designers. 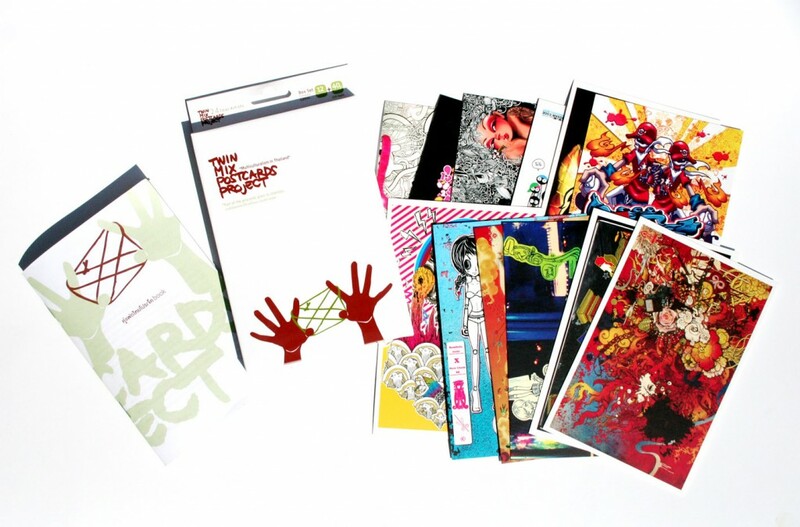 The art works will be published in 4×6 postcards (2,000 set) and part of proceedings will go to charities. 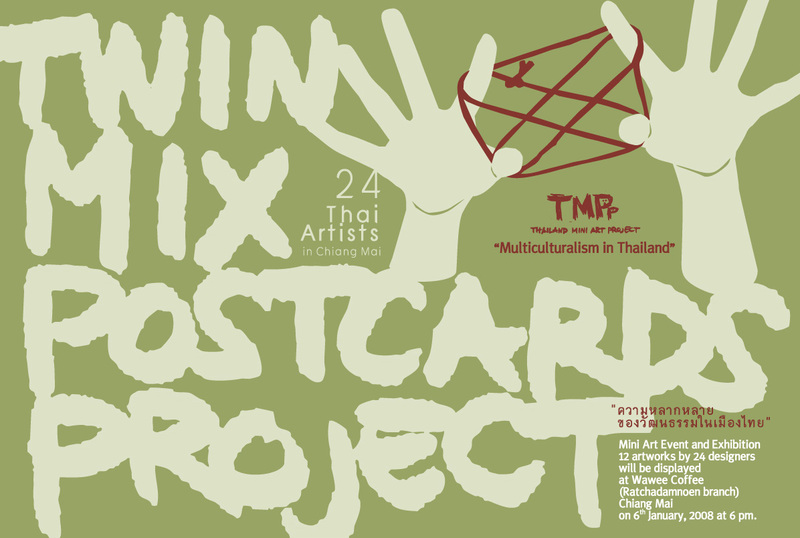 To support designers in Thailand who want to open up their minds and perspectives regarding on the creativity and variety of arts as well as to provide the opportunity and space for the new blood artists to show off their potentials. All the 12 artworks will be displayed at Wawee Coffee (Ratchadamnoen branch) from 22nd – 23rd December, 2007 and after the exhibition will be the auction of the artworks. All proceedings from the auction will go to charities. – 12 applicants who got most votes will be matched with guest designers by a draw lot to create a new artwork under the same topic. – The criteria are based on the quality, creativity and concept.